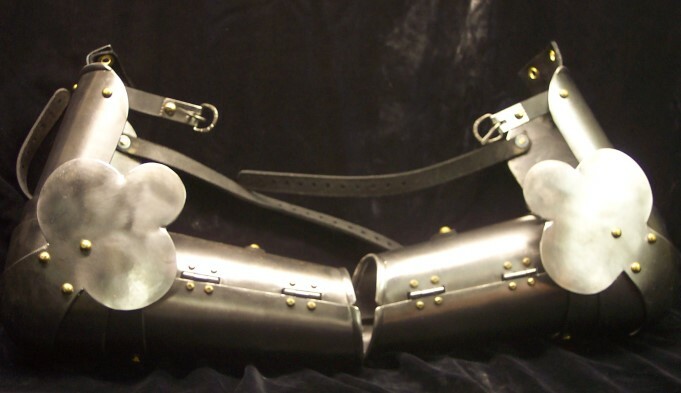 I have for sale one pair each of 14/15th century style legs and arms with what is know as a club type fan on the cops. 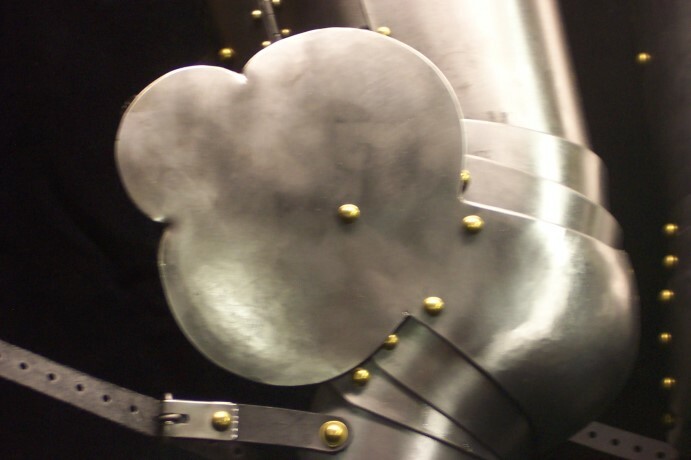 The arms are made from 16 gauge CR steel, with an outwardly rolled top edge rebrace and bracer cuff and beveled plate edges where appropriate. 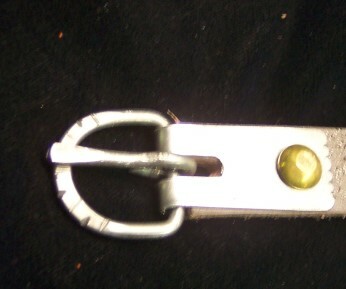 They come with hand made buckles and steel mounts with light decorative file and chisel work. 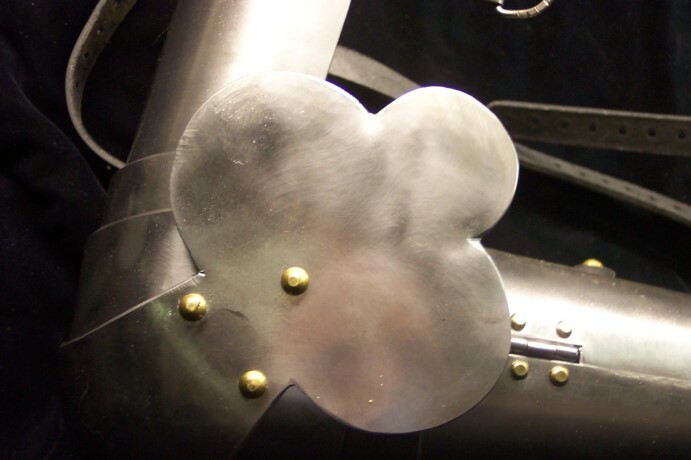 They have leather tabs at the top of the rebrace with two eyelets for pointing. 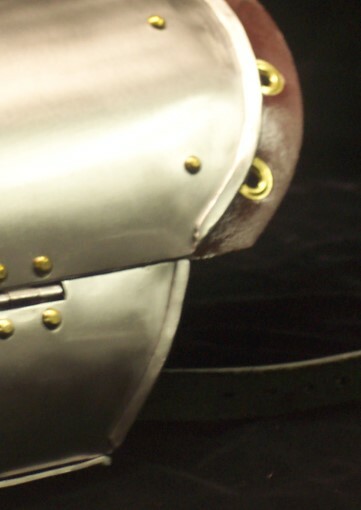 The bracers turn in slots in the manner of the " Voght of Match " armour in Churburg ( also shown close up in TOMAR ) and all the rest of the plates are slot riveted as well. The bracers are 8 1/8 inches long and have a max circumference of 15 1/2 inches at the fore arm and 10 5/8 inches at the wrist and is adjustable. They fit me fine and i'm thouroughly average with 14 1/2 inch biscepts and arms that are 23 inches from the ball of the shoulder to the wrist. They bend fully through the range of the arm and have plenty of hyperextension . I'd like to get $165.00 for the pair ( less than we used to charge for them with cast buckles and regular non turning bracers ) plus shipping. I can add buckles to the leather tabs with eyelets for attaching to a strap rather than pointing at no extra charge if desired. 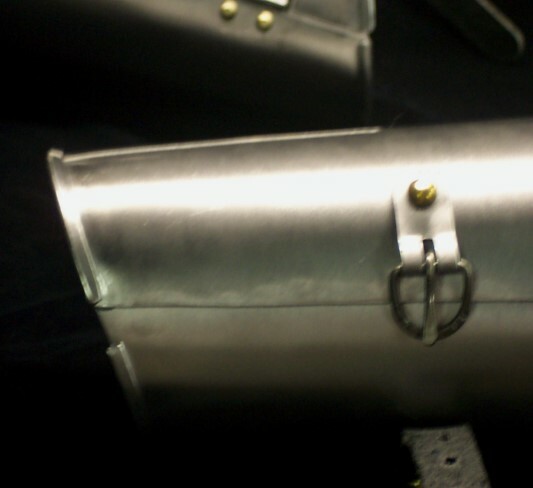 The legs are made from 16 gauge CR steel and have two steel hinged wrap plates and are fully strapped including hand made buckles with steel mounts with light decorative file and chisel work. They have a full length medial ridge and leathe tab at the tops set with eyelets for pointing/lacing. I am thouroughly average with 23 1/2 inch thighs ( the hinged wrap plates allow for size variation ), 17 1/2 inch knees and measure 33 1/2 inches from the bridge of the ankle to the point where the thigh bends at the pelvis and they fit me fine. I can make some adjustmanet to curvature to allow for sizing. I'd like to get $230 for the legs plus shipping. Feel free to ask question. Paypal, check or MO are fine. Sent you a PM on these.